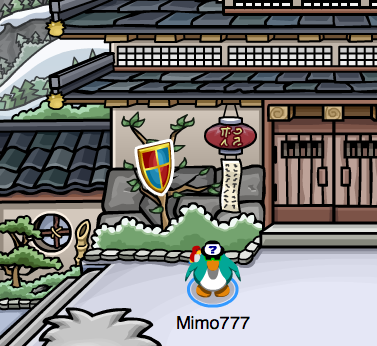 Club Penguin Cheats by Mimo777 Club Penguin Cheats by Mimo777: Club Penguin Pin Cheat - MEDIEVAL SHIELD PIN! 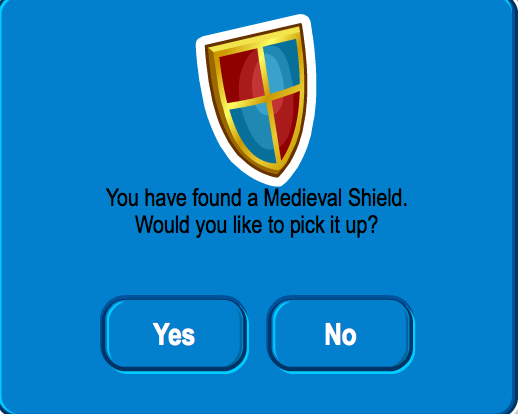 Club Penguin Pin Cheat - MEDIEVAL SHIELD PIN! Here is how to find the first Club Penguin PIN cheat. Step 2. Now go to the Dojo Courtyard. Step 3. Go beside the Dojo door. Step 4. Now click on the pin! NOW YOU HAVE THE NEWEST CLUB PENGUIN PIN! When does the party staarts? Club Penguin Red Alert From G! Club Penguin Herbert Attacks The EPF! Club Penguin Medieval Party Reviewed By You! Club Penguin's Top Secret EPF Message! Club Penguin Fluffy The Fish Game! Club Penguin Purple Dragon Costume Available Now! Club Penguin Purple Dragon Costume Bug! Club Penguin Safe Chat Medieval Messages! Club Penguin Updates Medieval Catalog! Club Penguin Field Op Number 46 Cheats! Club Penguin Medieval Noble Knight Stamp! Jet Pack Guy Finds Suspicious Device! Mimo's End of the World Club Penguin Party! New Message From Club Penguin's Dot! Club Penguin Awesome Igloo Reviewed By You! Club Penguin Updates Beta Team! Carl Cometh to the Medieval Party? Ye Club Penguin Quest For News! Club Penguin Underwater Adventure Cheats 2011! Club Penguin Pin Cheat - BRAZIER PIN! Beta Team Access Link Returns With New Game! Club Penguin Medieval Featured Igloos! What Happened to the Beta Team? Herbert Replies to Jet Pack George! Club Penguin Field Op Number 45 Cheats! Jet Pack Guy Dares Herbert! Herbert Will Be At Medieval Party? Protobot Reclassifies Herbert as Enemy! Club Penguin Medieval Party Sneak Peek! Club Penguin Beta Team Access Only Extra Levels! Club Penguin Toys in Mexico Soon! Herbert Wants To DEFEAT the EPF! Protobot Sends Message About Herbert! Carl The Hamster Strikes Again! Club Penguin Prepares for Medieval Party! Club Penguin 2011 Medieval News! Club Penguin Igloo Music Updated! Jet Pack Guy Warns of Test Bots! Club Penguin Medieval Party Video! Club Penguin Field Op Number 44 Cheats! Closed Message From Gary The Gadget Guy! My Puffles Are Missing, My Puffles Are Missing! May Pay Day Arrives... Finally! Jet Pack Guy Doesn't Trust Herbert! May Club Penguin Membership Page! Club Penguin May and June Sneak Peek! Rollerscape Beta Team Access Only! Club Penguin Comm Agent Message! Club Penguin Stealth Agent Message From G! Club Penguin Tech Class Message From G! May Pay Day... But Wait, I've Been Robbed! Gary Message About Tactical Classes! Club Penguin Classes Explained By G!